Kensington, MD — Kensington, Md. -- Six schools received grants from the Catholic Coalition for Special Education (CCSE) at the annual Grant Awards Ceremony held at St. John the Evangelist church in Silver Spring, Md. The awards were given to the schools to continue and expand their high-quality programs designed to meet the needs of students with intellectual disabilities. Total awards came to approximately $108,000, a 10 percent increase over the 2008 grant cycle. Sister Kathleen Lannak, IHM, accepted the award for St. John the Evangelist School in Silver Spring, Md., where the funds will continue to help cover costs of two part-time special education aides for students with low-incidence disabilities and to supplement the resource teacher’s salary. Teachers Claire North and Kelly Burgess, Sister Mary Ellen Malloy, IHM, and Fr. Briese also represented the school at the award ceremony. Sacred Heart of Mary, Baltimore, Md., was represented by Principal Pamela Walters, Brother William Ciganek and PRIDE Program Liaison of the Archdiocese of Baltimore, Mary Jo Puglisi. The funds will help pay for the salary of an instructional aide to help students with intellectual disabilities, including Down Syndrome. Principal Tobias Harkleroad and school counselor Sherry McMahon, accepted the award for St. Camillus, Silver Spring, Md. This will help fund staffing for the Student Assistance Team (SAT), a group of teachers and administrators who support all students with special needs. Holy Cross, Garrett Park, Md., represented by the principal, Lisa Maio Kane, and teachers Jackie Prince and Karen Rappaport, will use the grant to fund the salary of a special education teacher who will work with students with intellectual disabilities. 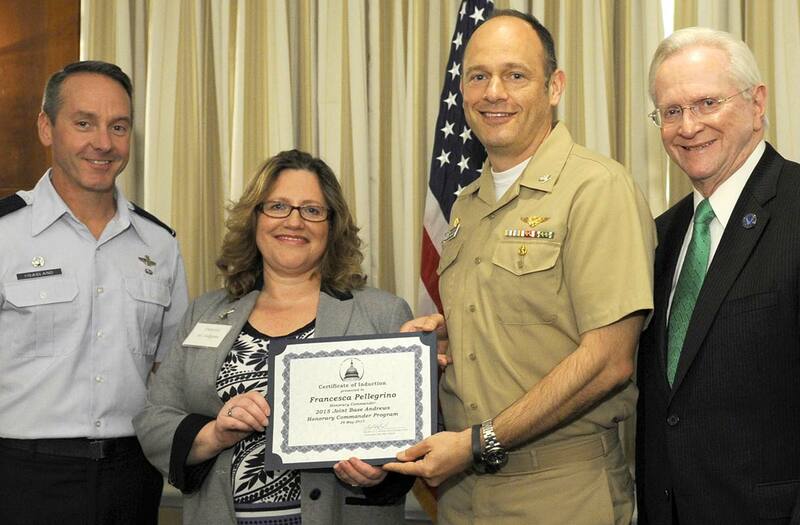 James Pavlacka, principal of St. Mary of the Mills School in Laurel, Md., accepted a grant. They will hire two full-time paraprofessionals who will serve students with low-incidence disabilities. Maggie Hubbard, assistant principal and special educator also represented the school. CCSE’s sixth grant went to Our Lady of Lourdes School in Bethesda, Md. The funds will be used to help pay the salary for one special education teacher serving students with intellectual disabilities and other special learning needs. Patricia McGann, principal, and Joan Friel and Maureen Rossi, special education teachers, represented the school. 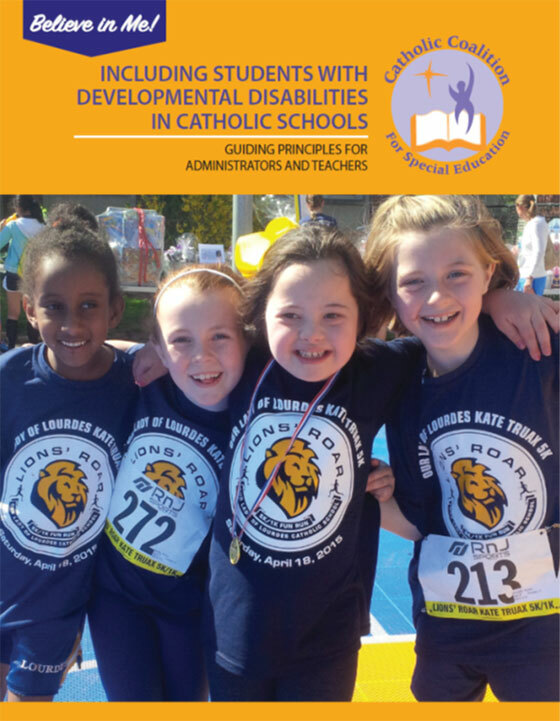 The mission of the Catholic Coalition for Special Education is to ensure that children with special needs are able to attend and receive an appropriate education in their local Catholic elementary schools and high schools. In the words of Pope Benedict XVI “no child should be denied his or her right to an education in faith, which in turn nurtures the soul of a nation.” CCSE provides grants and technical assistance to help Catholic schools in Washington, D.C. and Maryland achieve this goal. If You Believe in Me. . . I’ll Believe in Me!